See the post and attached infographic from the Education Commission of the States! By now, you know how the elections played out in your state. But how did they play out nationwide? How did state education leaders — including governors, those in legislative chambers, chief state school officers and state board members — change, if at all? 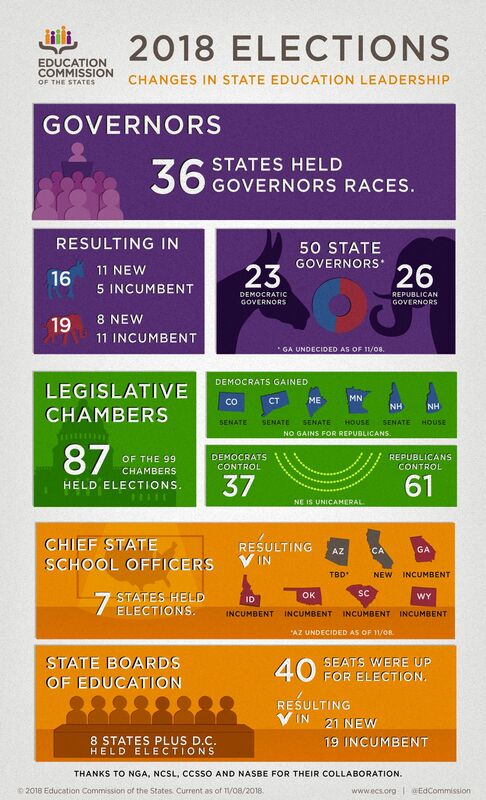 We’ve created this infographic to capture all of the results from every state across the country, and two blog posts that dig deeper into these education leadership changes and key takeaways from state ballot initiatives.